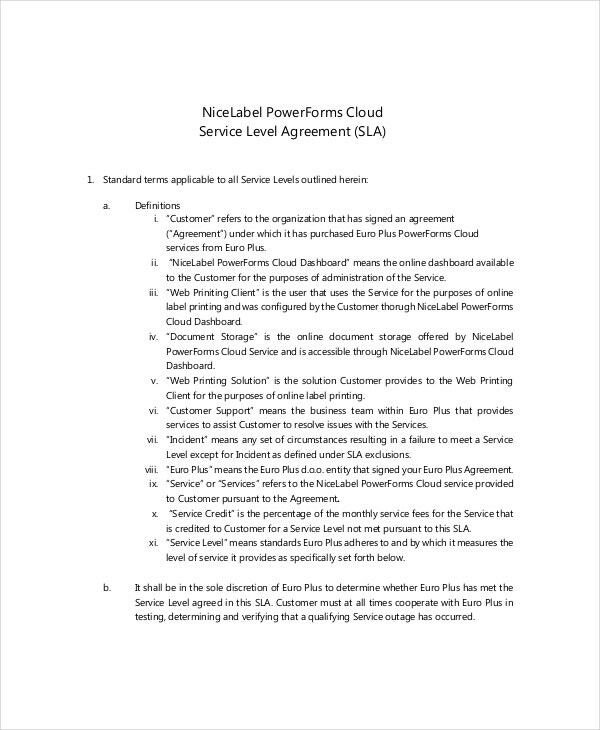 For internal or external service provider, a service level agreement will state how a service provider does its job to its customer’s request and the solutions that it can offer to the problem identified. It speaks about the quality, responsiveness, and responsibility of the service providers whenever they are engaged in a contract with clients. 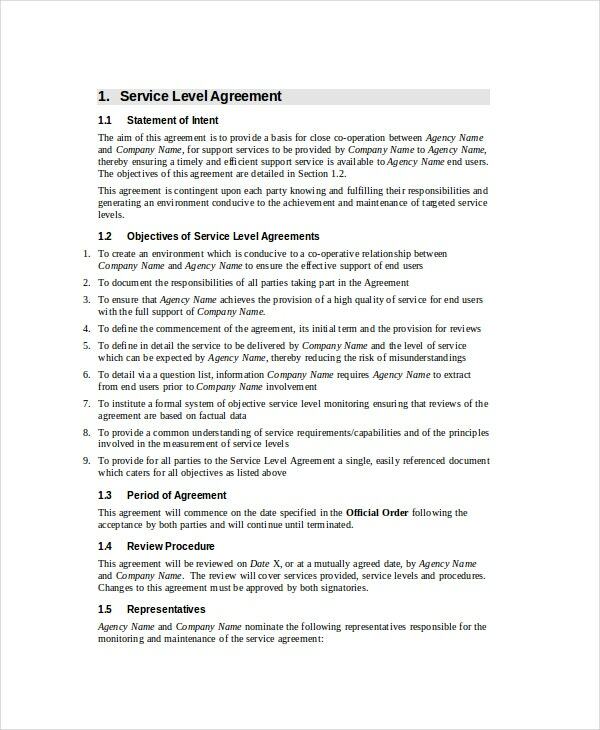 You may also see sample agreements. 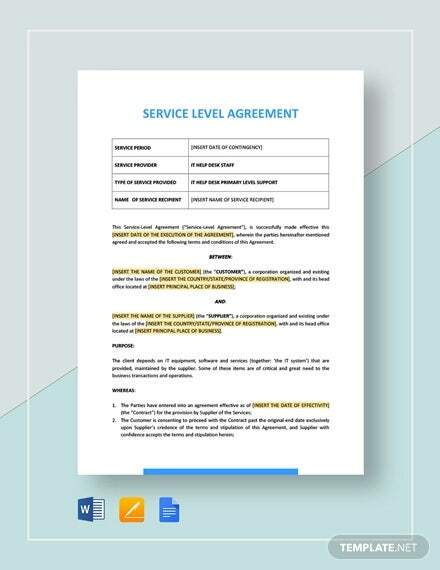 A Service Agreement Template shows the full context of this document to guide both parties regarding the service that must be provided. There are more than ten examples of these templates of which they can easily adjust the content and add new terms to fit the service they are rendering. 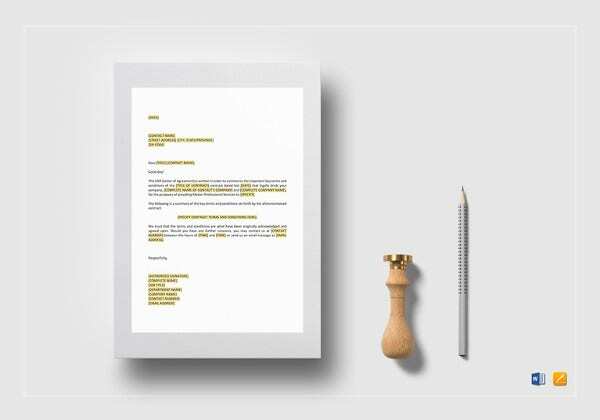 This template is designed for a technology inclined service provider where it describes and specifies their responsibilities in providing a quick and quality information technology service to the clients. Each category of the service is written along with their schedules for client’s reference. 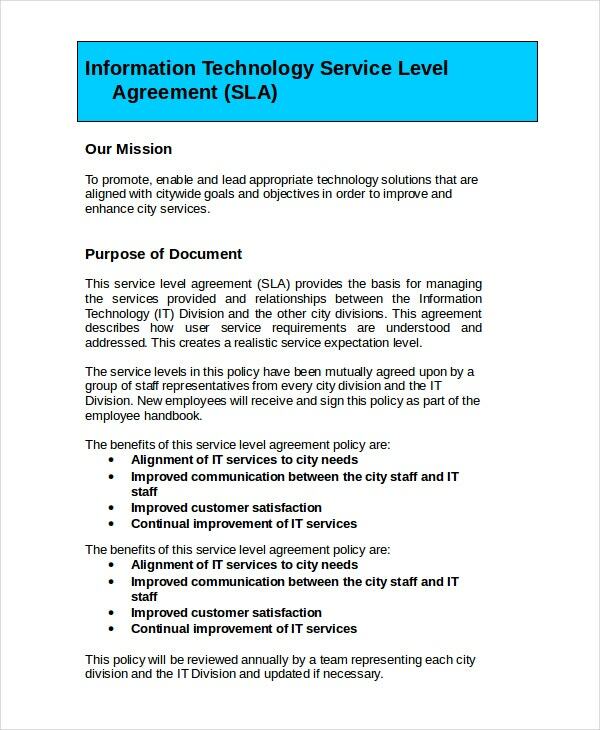 Seeing this document will help any information technology company in providing the details of their service management and the expectations of their quality service. 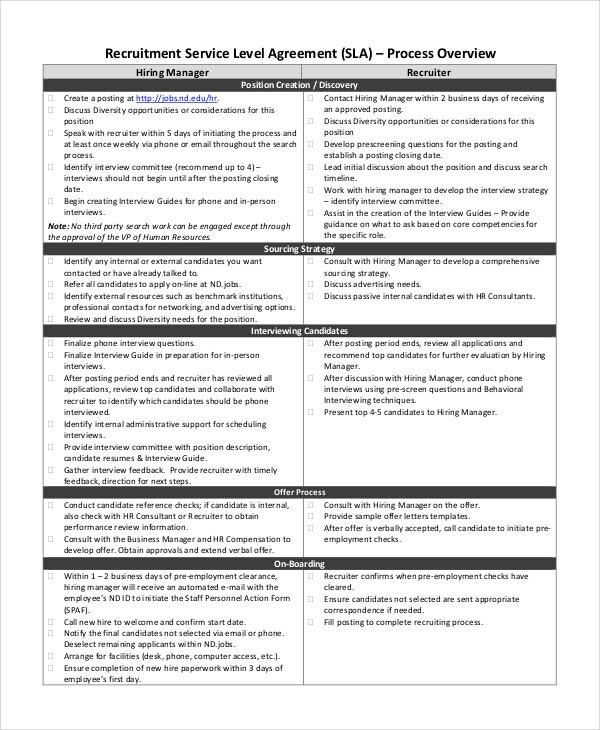 All details about internet access, online accounts, software programs, office equipment and communication concerns are summarized here as part of service provider job description. 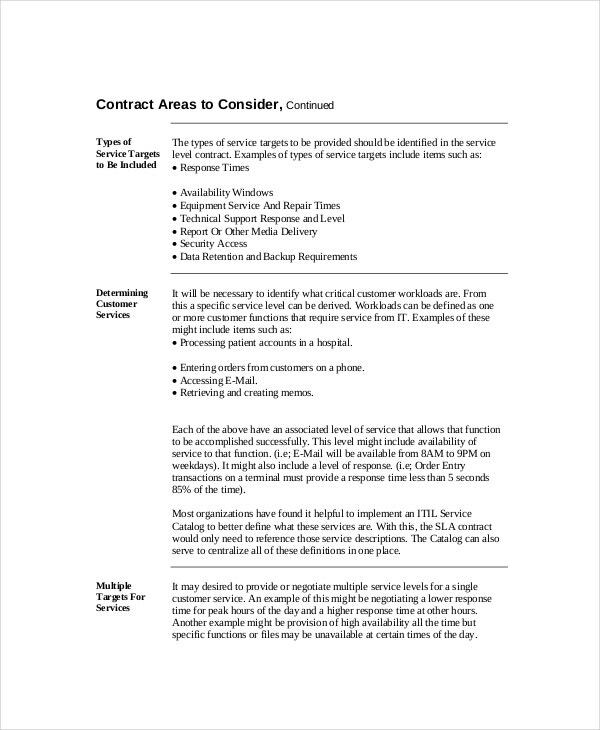 For a private service provider working in a company, this is the template to have. 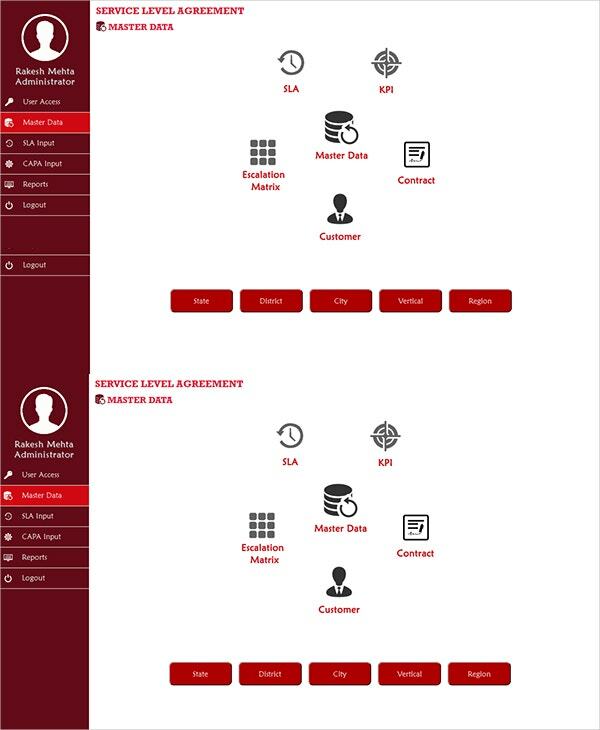 It shows the terms and standard operating procedures of the provider when it comes to giving priority to the demands of their client. All the specialties of the service provider that the client deserves to have as their primary sponsor are shown here. 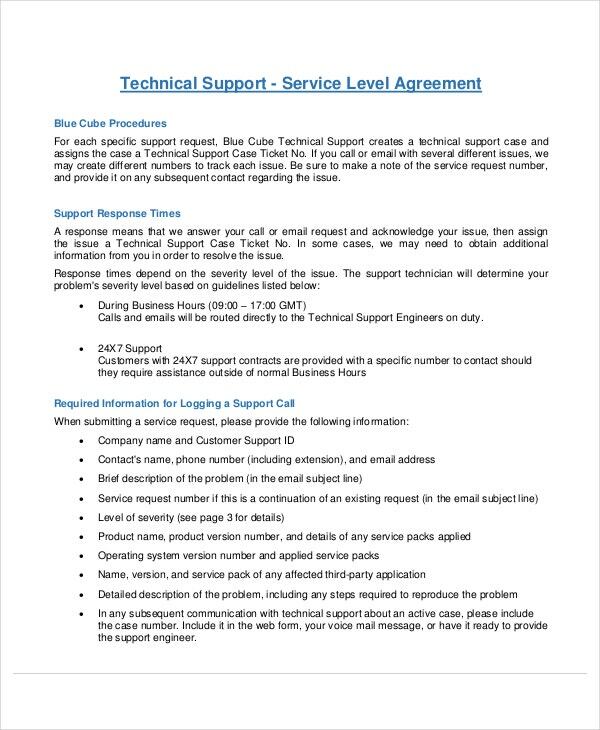 Companies that provide a customer care call centers service will certainly have this Service Agreement. 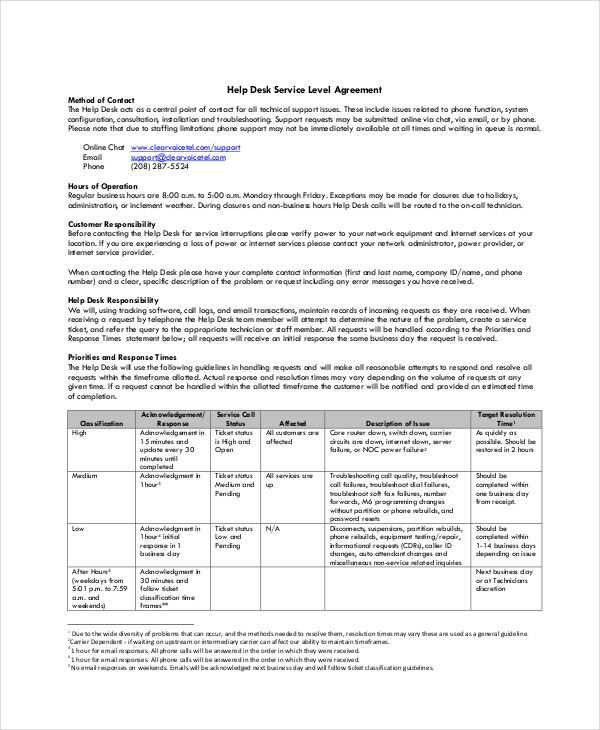 This contract lists down the services of a help desk personnel and how he/she must cater to any problem immediately once their client addresses it to them. It is a brief content where the schedules of their services are arranged for customers’ conveniency. 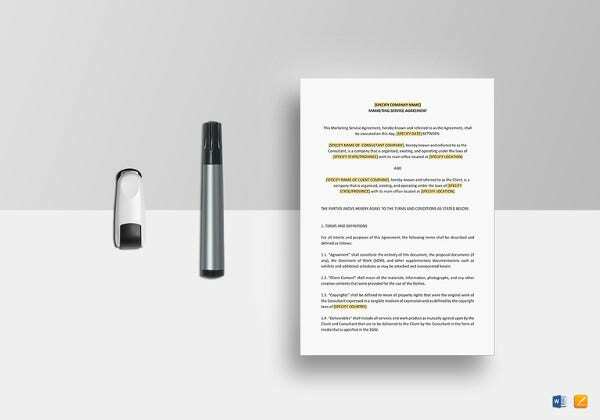 Telecommunication companies have this template by their side so that their customers would know what are the benefits and claims they can receive if they will be chosen as a service provider. 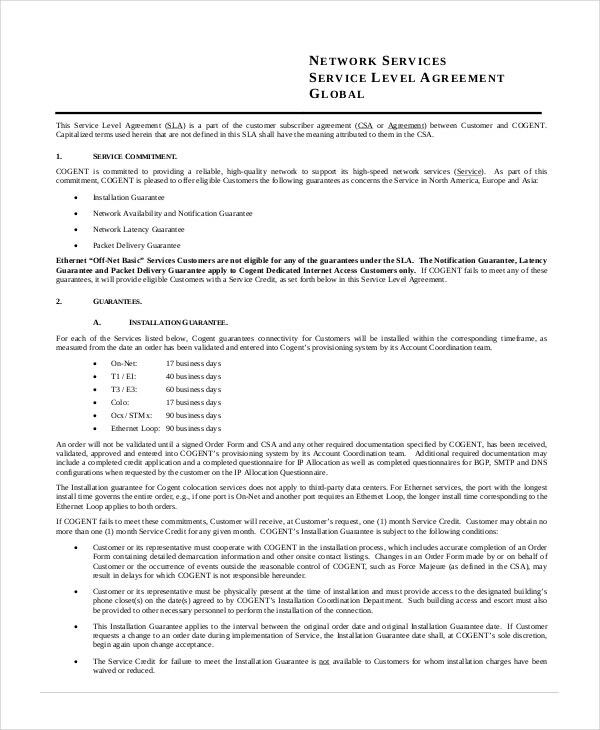 This one defines the service- specifically the network connection they will offer in the length of the contract agreed upon. 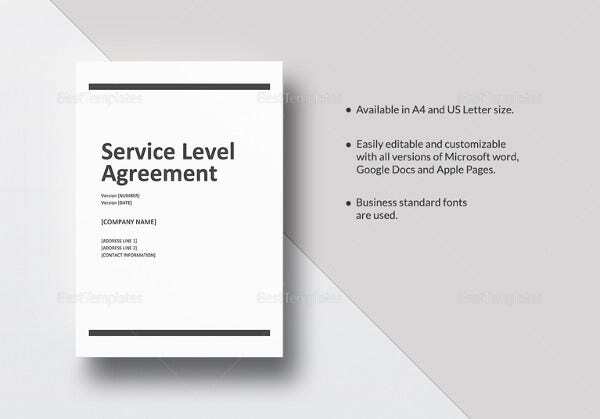 Who are the Target Audiences of the Service Level Agreement Templates? 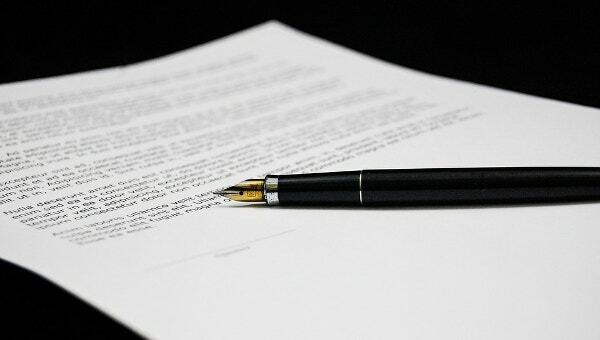 Both the service provider and client will have this document in any form of contract signing as this serves as the statement of the responsibility of the service provider while the client’s remuneration to the service being given to them. Customers would also have this as they can get an upper hand on or view the benefits they can obtain whenever they are about to avail the services. 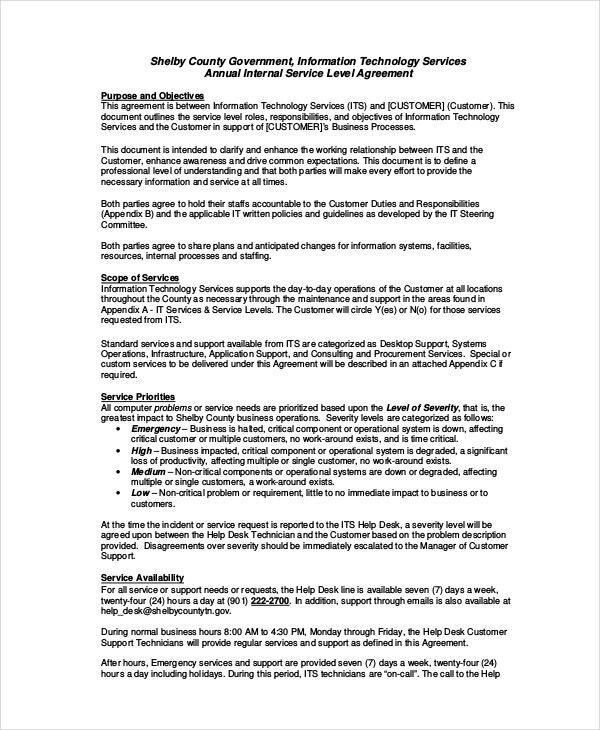 Specifically, information technology service providers and telecommunication companies have this as their primary Agreement Template for their clients. 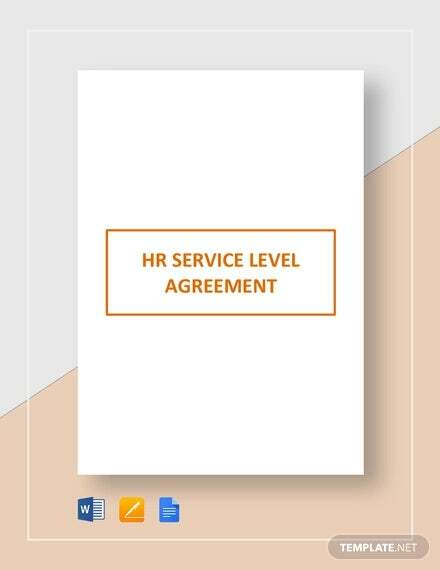 What are the Benefits of Service Level Agreement? 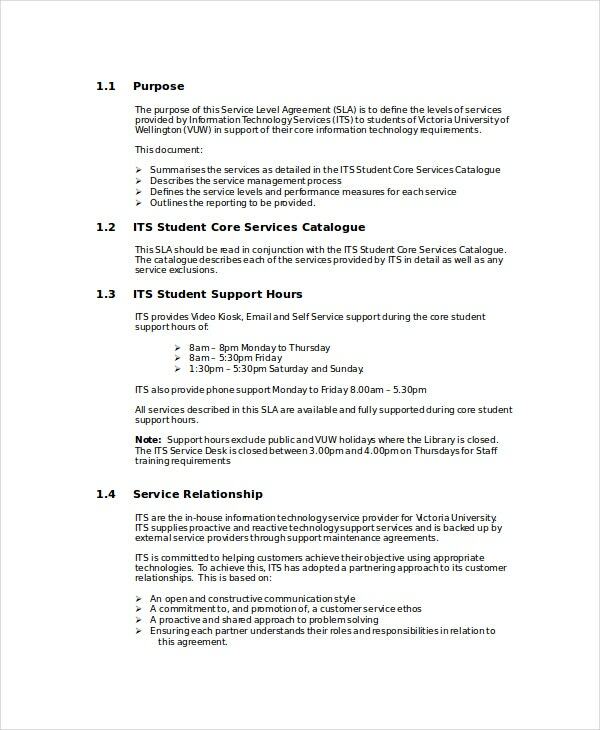 This will reiterate what the service provider should provide to their clients when it comes to their work. It acts as a set of guidelines where the client can see the provision and expectations to them while performing their job. 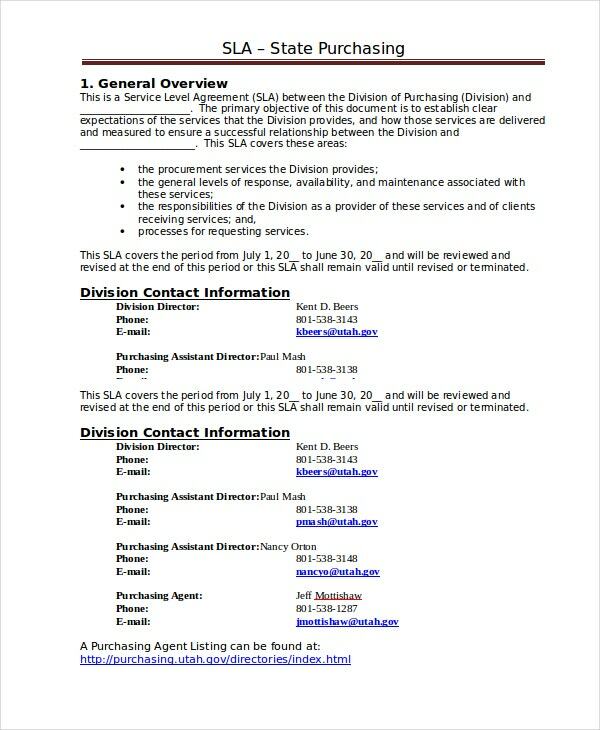 Also, this will act as the primary reference whenever there is a claim or refund to be done in any unfulfilled services so that accurate compensation will be given. 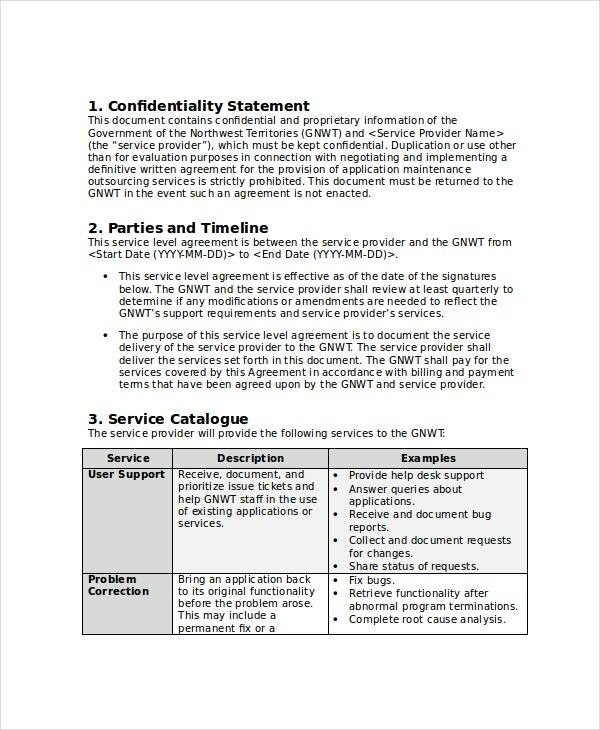 For any disputes or problems regarding the service, this document can help them settle the unexpected situation and maintain a harmonious relationship between both parties. The precise responsibility of the service provider is stated in this template which the client will find helpful and advantageous. 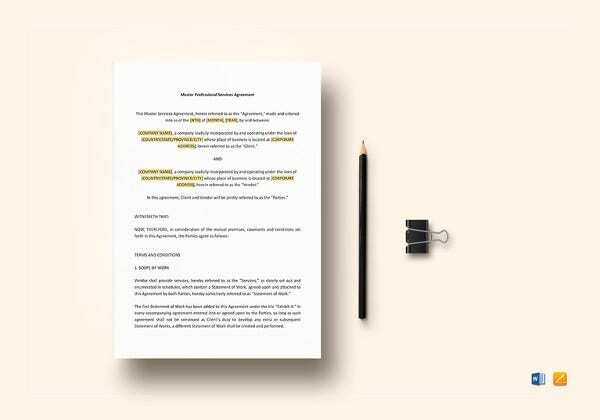 Adding the Service Receipt Template in the agreement will close the deal for any arrangement and get the job done as expected. 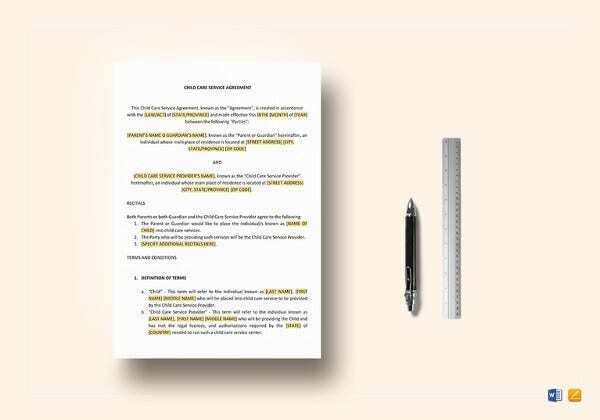 Get our templates now and start the service you offer.